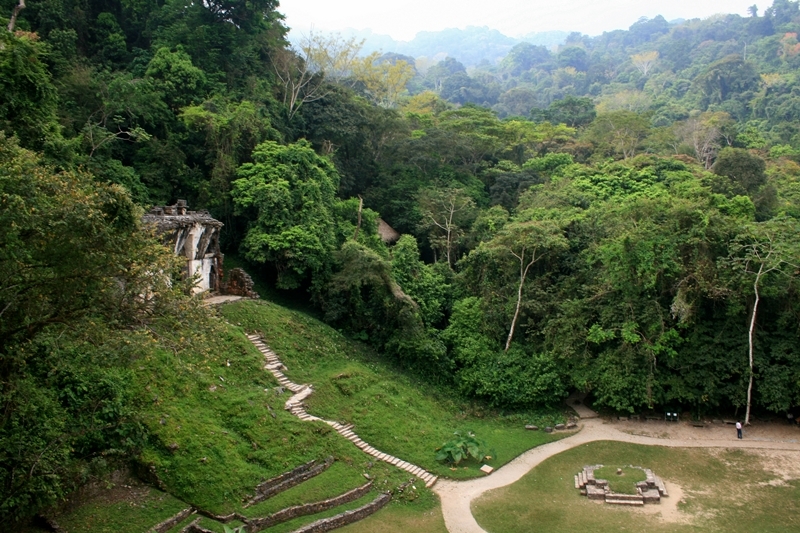 Palenque (Yucatec Maya: Bàak’ /ɓàːkʼ/) was a Maya city state in southern Mexico that flourished in the 7th century. 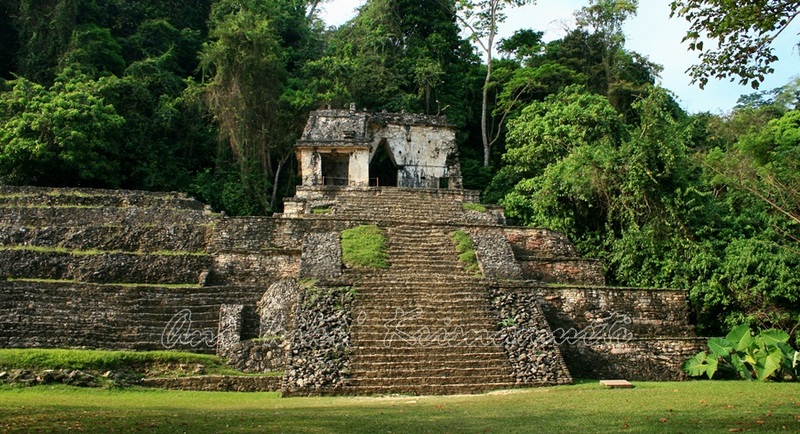 The Palenque ruins date back to 226 BC to around 799 AD. 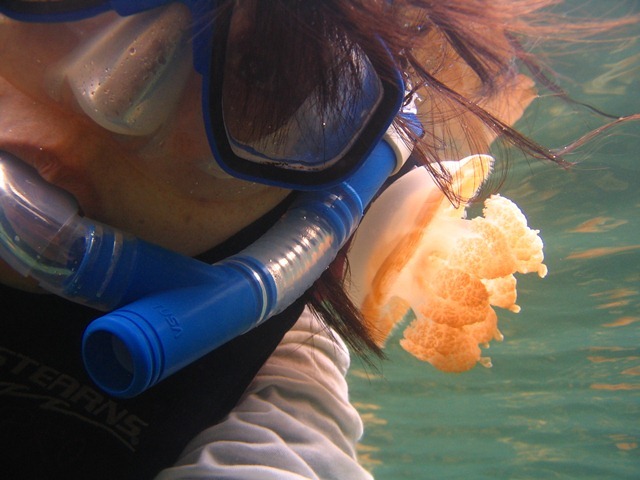 After its decline, it was absorbed into the jungle, which is made up of cedar, mahogany, and sapodilla trees. 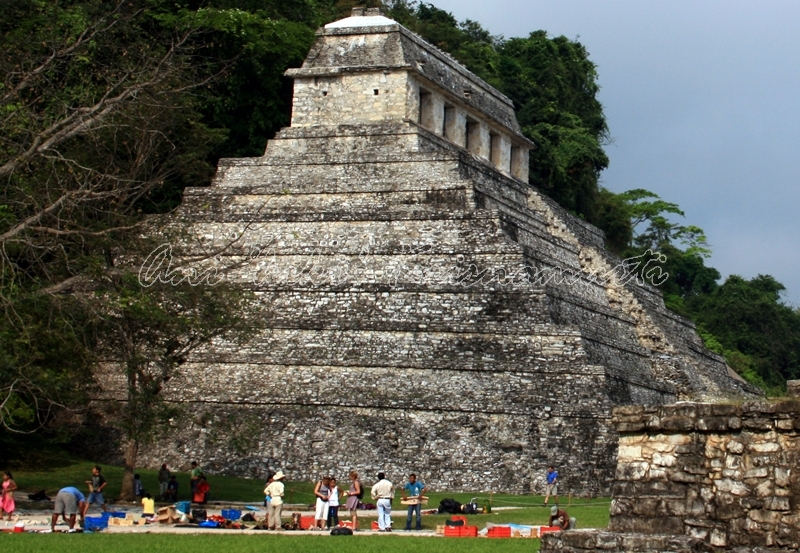 It has been excavated and restored and is now a famous archaeological site attracting thousands of visitors. 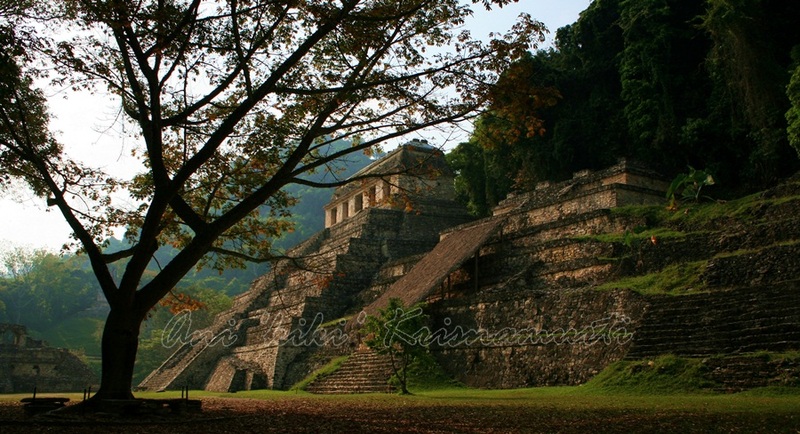 It is located near the Usumacinta River in the Mexican state of Chiapas. 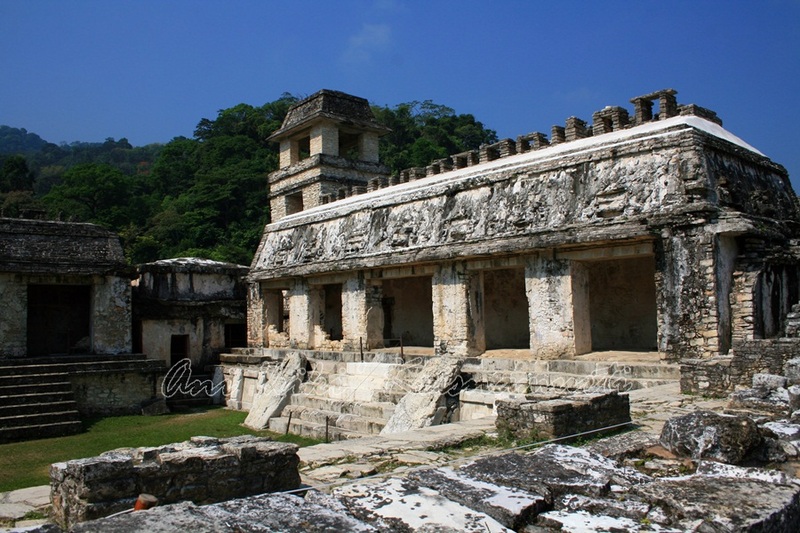 Palenque is a medium-sized site, much smaller than such huge sites as Tikal, Chichen Itza, or Copán, but it contains some of the finest architecture, sculpture, roof comb and bas-relief carvings that the Mayas produced. 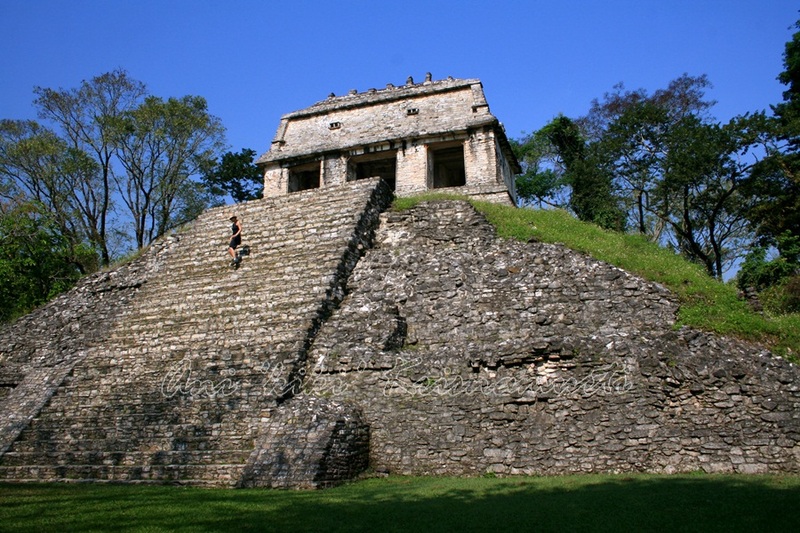 Much of the history of Palenque has been reconstructed from reading the hieroglyphic inscriptions on the many monuments; historians now have a long sequence of the ruling dynasty of Palenque in the 5th century and extensive knowledge of the city-state’s rivalry with other states such as Calakmul and Toniná. 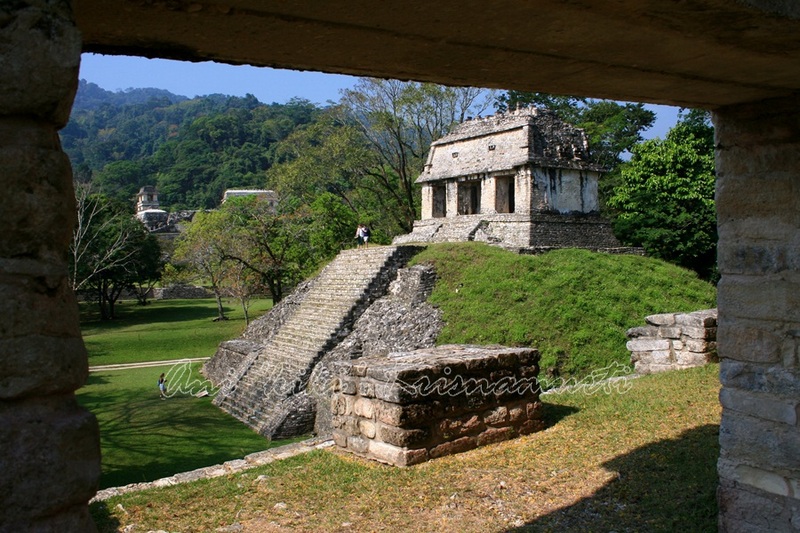 The most famous ruler of Palenque was Pacal the Great whose tomb has been found and excavated in the Temple of the Inscriptions. 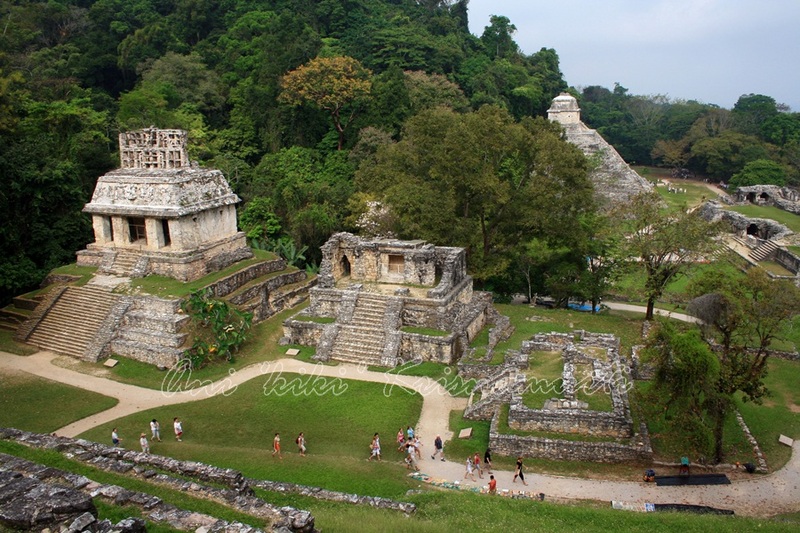 The Temple of Inscriptions had begun perhaps as early as 675 as the funerary monument of Hanab-Pakal. 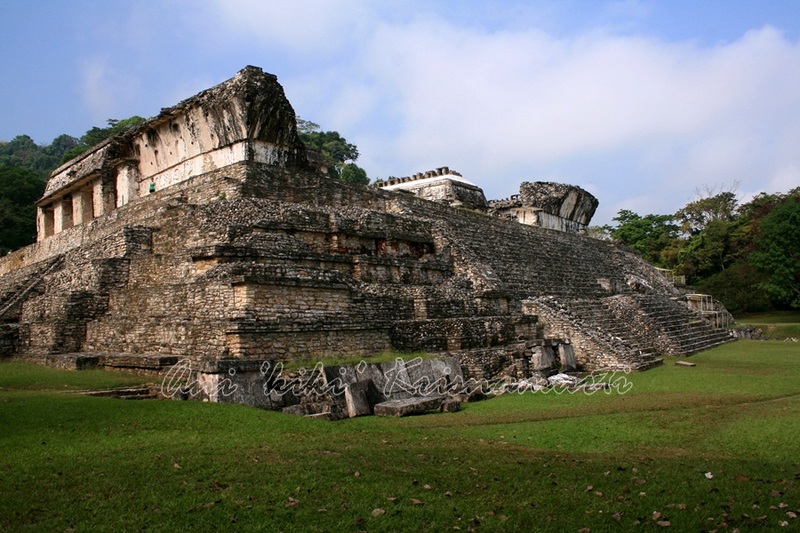 The temple superstructure houses the second longest glyphic text known from the Maya world (the longest is the Hieroglyphic Stairway at Copan). 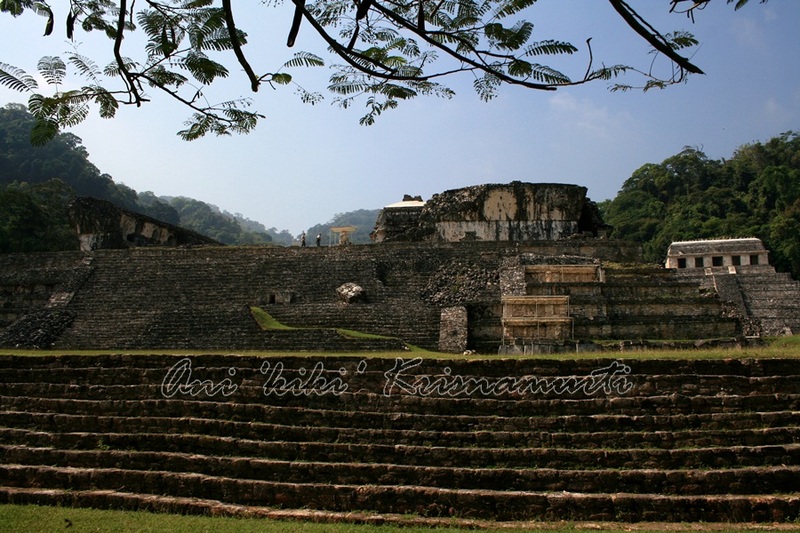 The Temple of the Inscriptions records approximately 180 years of the city’s history from the 4th through 12th K’atun. 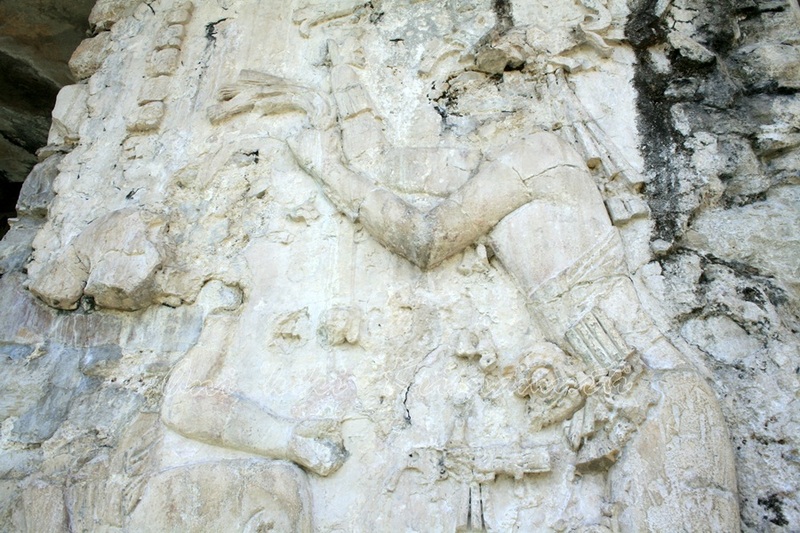 Within the Palace there are numerous sculptures and bas-relief carvings that have been conserved. 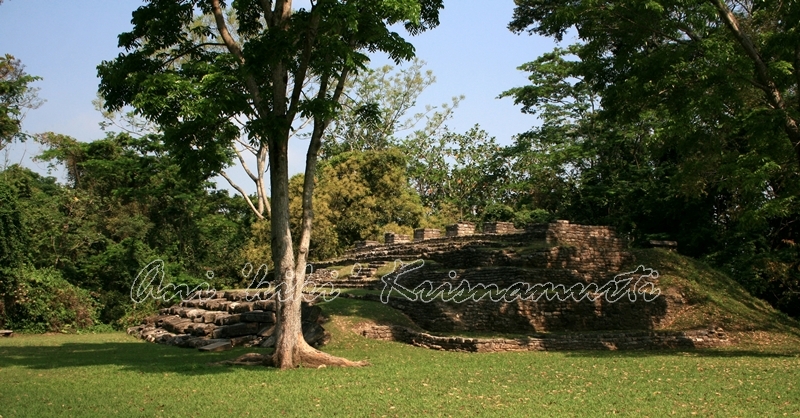 The Palace most unique and recognizable feature is the four-story tower known as The Observation Tower. 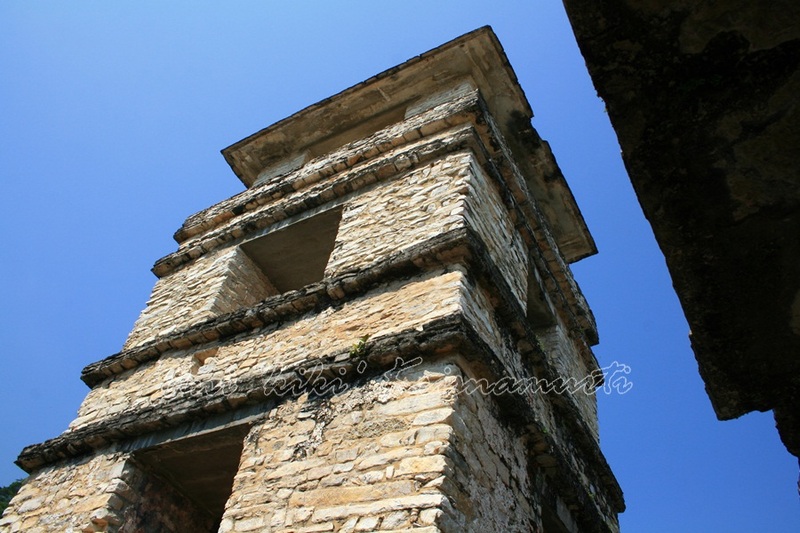 The Observation Tower like many other buildings at the site exhibit a mansard-like roof. 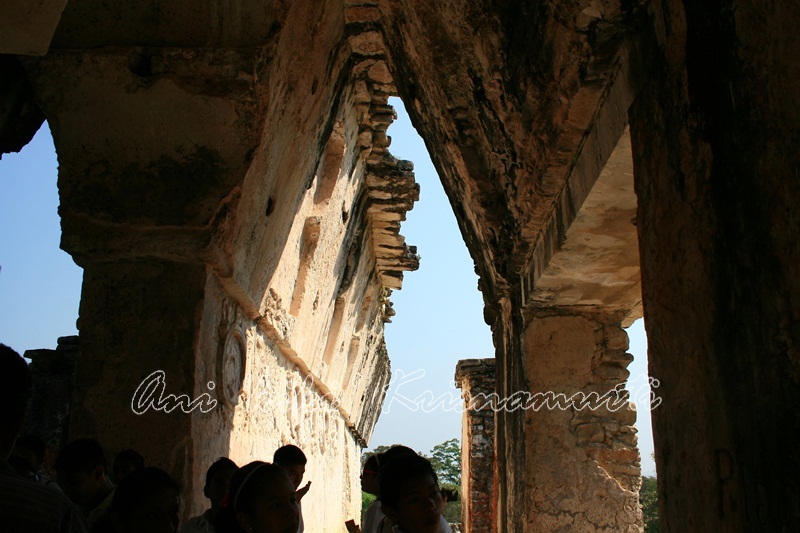 The A-shaped Corbel arch is an architectural motif observed throughout the complex. The Corbel arches require a large amount of masonry mass and are limited to a small dimensional ratio of width to height providing the characteristic high ceilings and narrow passageways. 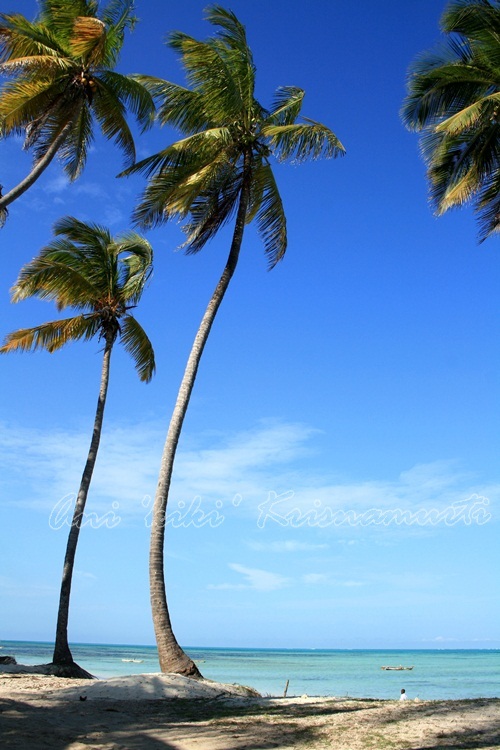 The Palace was equipped with numerous large baths and saunas which were supplied with fresh water by an intricate water system. 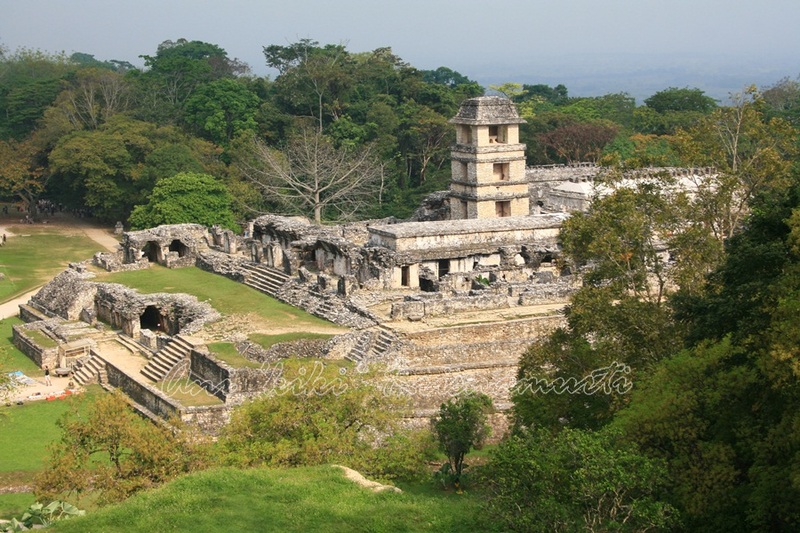 An aqueduct, constructed of great stone blocks with a three-meter-high vault, diverts the Otulum River to flow underneath the main plaza. 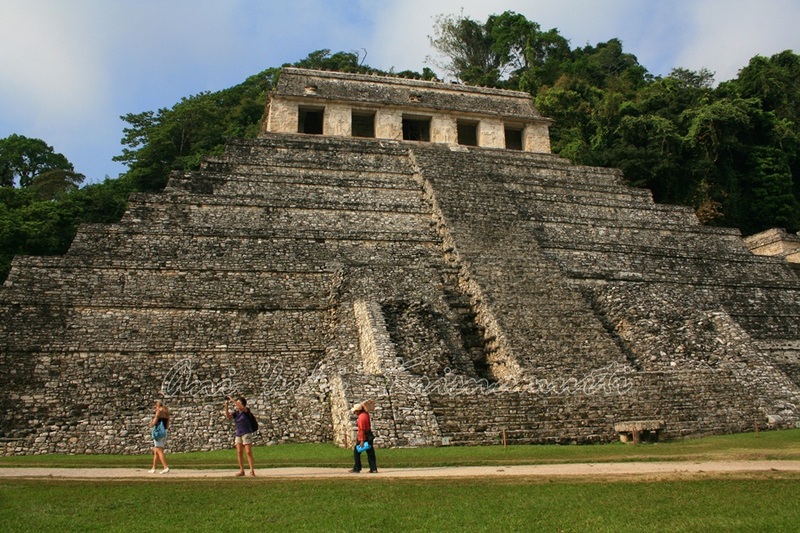 The Palace is the largest building complex in Palenque measuring 97 meters by 73 meters at its base. 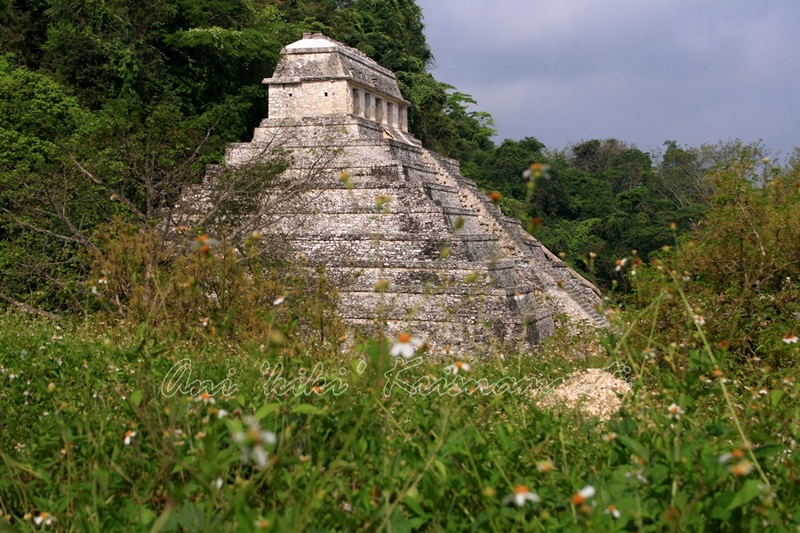 Posted in UncategorizedTagged backpacker, central america, ciapas, maya, mexico, Palenque, photography, travel, travel photographyBookmark the permalink.